As designers, we are always ready to tell clients how good we are and how we helped Mr. A get over his search for an awesome Logo, website or whatever service we offer. And then expect to hear them ask you to send them an your proposal. Days after sending your proposal and you 're yet to hear from your prospect, you'll be wondering if he actually wanted your service or he just wanted to know how much your services are worth. Have you ever wondered why most of the prospects who speak to you never get to get back to you? Clients are human just like you. And, giving them a listening ear may be all you need to lock on that project. 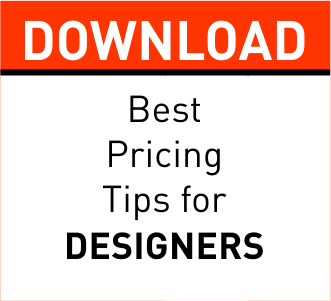 Prospects already know that you're a designer. But, what they're not of sure of is if you can provide a solution to their problem(s). And when you keep telling them how good you're at what you do and why they should not batter with you over prices and the cost of your service, they come to a conclusion that they were wrong after all. You can't solve their problem. If actually you can provide a solution to a problem, then you should know what the problem is. If you took your car to a mechanic and he looks at it and tells you that it'll cost you $4000 to fix it. What will be your reaction? You should diagnose the car to know what the fault is before telling me it'll cost. Even if as you were driving in, he heard the sound of the vehicle and knew what was wrong with it, you won't be comfortable having him fix it. You'll assume he's just after your money. "if actually he's a professional as he claims, why don't he ask me what I actually need." Clients are human and need to be given a listening ear. If you're paid 10,000$ to design a Logo with just the business name being provided, you'll still be on that project for the next 2 months. Why? You didn't ask the client what he wanted. They may just need you to make a monogram. Instead of running your head 24/7 trying to make an iconic and wonderful Logo. Listening to your prospects could save you some stress. And help win new clients. As a designer, what you proffer is solutions. And there can't be solutions without first understanding the problem being faced by your client. Listening and understanding their needs and what they expect you to provide will not just give them the assurance that you can handle the project, but also help speed up the delivery time. It doesn't mean you should go dumb while conversing with your clients, but, just utter agreeing words like: Ok.
Make them understand that you're listening and has taken down all that they passed across. And, when they're done, repeat the key points they made to assure them that you got 'em. And bet me, when you bill 'em, they'll have little or no issue with your pricing.